41 Jesus sat down opposite the place where the offerings were put and watched the crowd putting their money into the temple treasury. Many rich people threw in large amounts. 42 But a poor widow came and put in two very small copper coins, worth only a fraction of a penny. 43 Calling his disciples to him, Jesus said, "I tell you the truth, this poor widow has put more into the treasury than all the others. 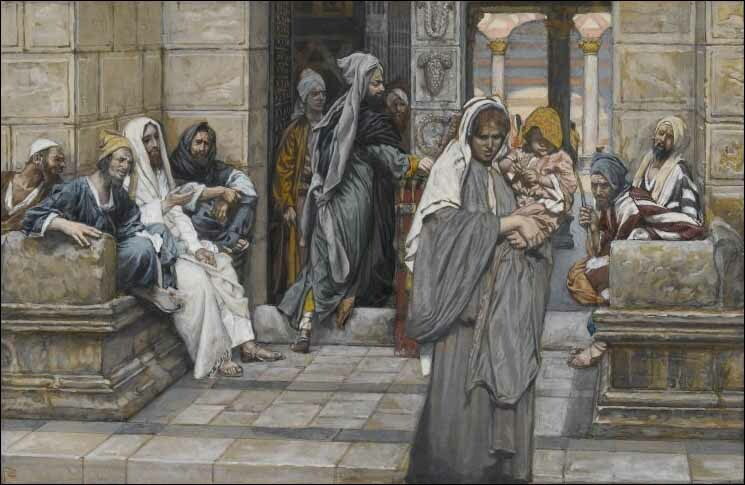 44 They all gave out of their wealth; but she, out of her poverty, put in everything--all she had to live on."